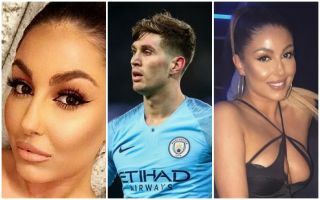 After splitting with his partner last year, Man City defender John Stones reportedly as a new woman in his life as he is said to be dating beautician Olivia Naylor. That’s according to The Sun, who claim that the 24-year-old England international is seeing the 30-year-old. Further, it’s added it comes after he split with childhood sweetheart Millie Savage last year, and so it would appear as though he may well have moved on. A Sun source has suggested that the pair have been seeing each other, but naturally neither have moved to officially confirm anything on their social media accounts. With that in mind, it remains to be seen if Stones opts to make it public, but if he and Naylor are seeing each other and are happy, then the best of luck to them as both also have young children to consider too, as per the report.